Regenerative medicine focuses on the regeneration of tissue in the body. Rather than having to take anti-inflammatories, cortisone injections or steroids, which carry risky side effects, you can forego the prescription in favor of less invasive methods. Most people who discover regenerative medicine have been through years of misery trying various therapies or resorting to knee replacement surgery, which often fails. The team at Joseph Health Group offers you unparalleled therapeutic options with stem cell therapy, platelet rich plasma injections and knee bracing. 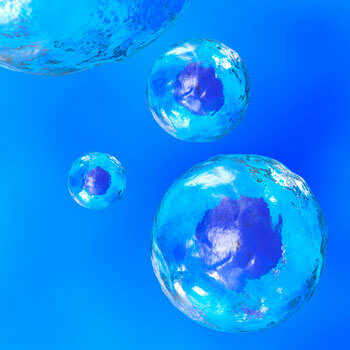 Stem cell therapy is one of the most exciting advancements in modern medicine! When stem cells are injected into the body, they’re attracted to the dying tissues. Once they’ve attached to the compromised muscle, bone, ligament, tendon, cartilage or fat, it self-replicates. It can build up healthy tissue in areas such as the knee, elbow, ankle, hand, hips or any other part of the body that is subject to degeneration. Professional athletes have been traveling to Europe to receive this treatment for years, which is now offered at Joseph Health Group. Often, stem cell therapy is used in conjunction with platelet rich plasma injections for the best possible outcomes. PRP is the sister to stem cell therapy. This nonsurgical option has shown incredible results for plantar fasciitis, strains, sprains, tears, tendonitis and more, which may not respond well to the traditional medical treatments. It involves a concentrated injection of platelets, which are a type of blood cell that boosts healing. The platelets release bioactive proteins that accelerate the repair and regeneration of tissue, develop new blood vessels and stimulate the healing of wounds. If you’ve been battling knee issues, it’s likely been an issue for some time. A customized brace that has the perfect fit for you can be the key to enhancing your healing. Our team will work with you to tailor a brace for a comfortable, seamless fit. Contact us today to find out if regenerative medicine Peoria is right for you!